Is this The Saint George, The King's Flagship? The children in The Palace Library journey to Hell’s Bay in the King’s flagship, The Saint George. This picture is one of the inspirations for the ship. 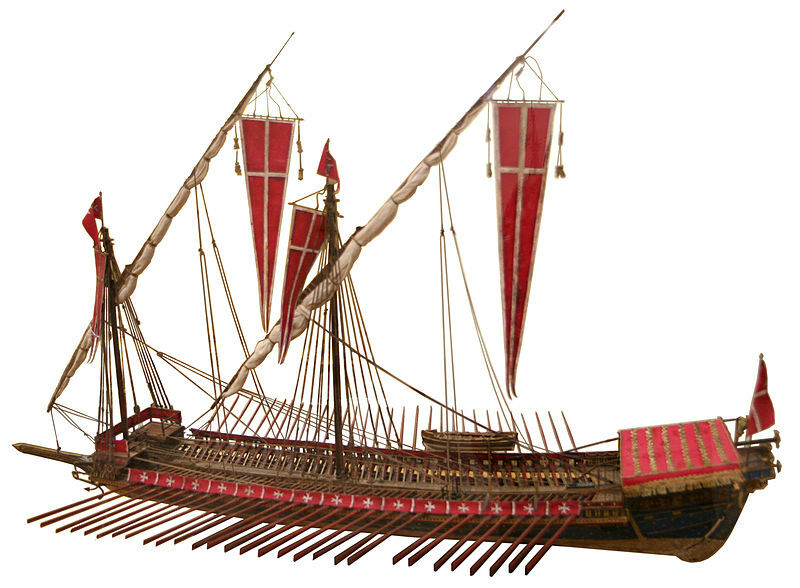 The ship in The Palace Library has just 25 oars each side and a poop deck at the stern of the ship with castellations.